This post is sponsored by iHerb. As always, all opinions are my own. 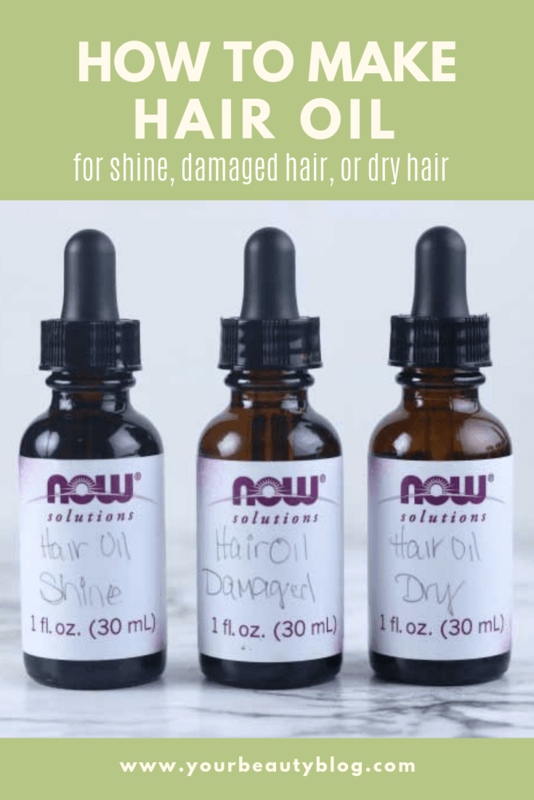 Three amazing homemade hair oil recipes for dry hair, damaged hair, and to add shine to your hair. 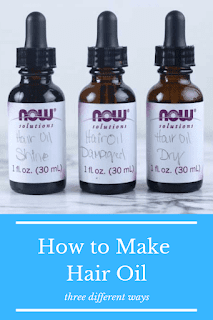 Learn how to infuse oils and herbs to make the oils and how to use them for softer, healthier looking hair. One of my favorite natural hair hacks is to use hair oil. I have curly hair, so it's prone to being dry. 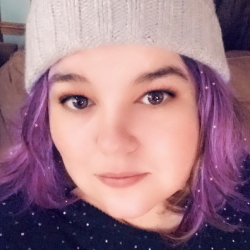 Couple that with using a blow dryer and flat iron two to three times a week, and my hair definitely shows some signs of damage. I use a hair oil every time I wash my hair to add moisture back into my hair. 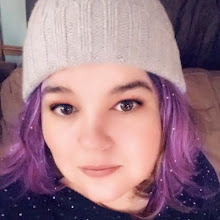 The last time I made it, I actually made three hair oil recipes. One for dry hair, one for damaged hair, and one for shine. I use all three of them at different times and for different reasons. 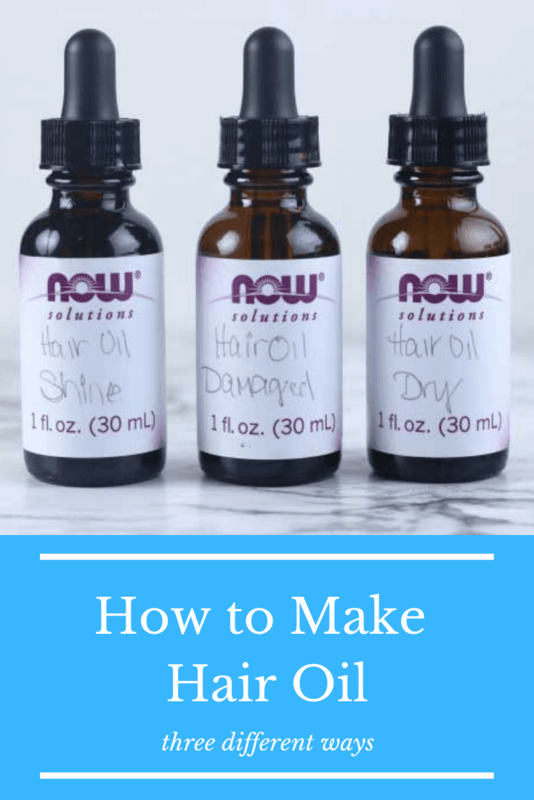 I got everything that I needed to make these three hair oil recipes from iHerb. I love shopping at iHerb because they have great prices and free shipping on orders over $20. 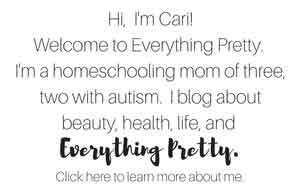 I have a special offer for new customers at the bottom of this post. iHerb is the global leader in bringing natural products to customers all over the world. They offer a triple guarantee, so you can buy with confidence. You get the best value on over 30,000 brand name natural products. As a California based superstore, they guarantee that all brands are authentic products and ship directly from climate controlled warehouses. You get guaranteed delivery of your order with free or reduced shipping costs to over 150 countries in the world. 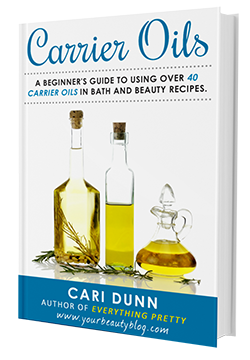 While you can just use a carrier oil for a homemade hair oil recipe, I like to give it a little extra boost by infusing the oil with herbs. This gives the carrier oil some of the benefits of the herb without actually applying herbs to your hair, which would obviously be super messy. There are two ways to infuse oils: the solar method that takes two weeks or the slow cooker method that takes 12 hours. It's winter in Ohio, so I used the slow cooker method. I use my hair oil three ways. The first way is to use it as a finishing oil. After I straighten my hair, I put two drops of oil on my hands and work it though my hair. The oil helps my hair look smoother, feel softer, and stops frizzing. I usually use the infused apricot oil as a finishing oil. The other way I use a homemade hair oil recipe is as a hot oil treatment. I put some oil in a jar and set the jar in hot water for about 15 minutes. This gently heats the oil without creating hot spots in the oil. Then I spread it on my hair and let sit for up to an hour. Wash your hair as normal and do not condition. Finally, I use these infused oils in my DIY hair care recipes. I use it in my whipped preshampoo oil treatment in place of the grapeseed oil or the flax seed oil. 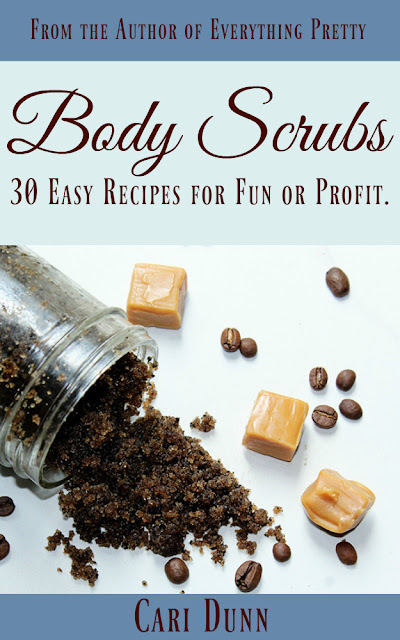 You could also use it in this DIY exfoliating scalp scrub recipe for hair and scalp health. I chose apricot oil and horsetail for shine. Apricot oil is a dry oil, so it absorbs quickly. It won't weigh your hair down or make your hair greasy, so it's perfect to use on your hair after styling. Apricot oil is an emollient, so it makes your hair feel softer. It also add moisture to your hair, which can help stop flyaways and make hair look smoother. Horsetail has natural silica in it for extra sheen. It also has selenium to promote hair growth. Pour about 2 ounces of apricot oil into a mason jar. Open an empty tea bag and add about 2 inches of horsetail to it. Place the tea bag into the oil. The oil should completely cover the horsetail. If it doesn't, add more oil. Set the jar in the window for two weeks to let the oil and herb infuse. You can also use a slow cooker, which is how I infused mine. Just lay a towel on the bottom of the slow cooker, place two inches of water in the slow cooker, and carefully place the jar of oil in the water. Turn the slow cooker on low and let the oil and herbs influse for 12 hours. Turn off the slow cooker. Let the jar cool for a few hours so you can handle it easier. Remove the tea bag and discard. Pour the oil into Now Foods 1-ounce jars with dropper lids. I love these bottles for oils because it's so easy to get just a few drops without making a mess. Macadamia nut oil is one of my favorite oils for the hair. 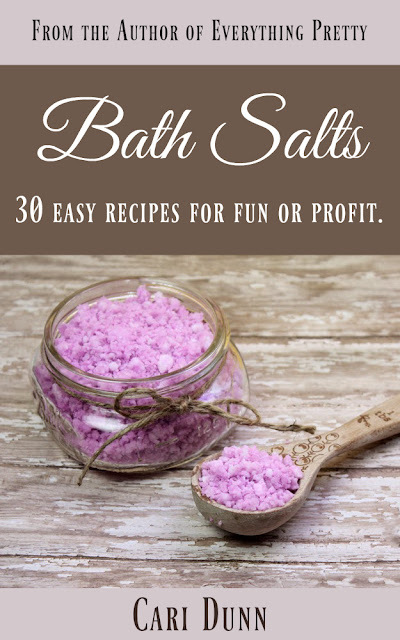 It is said to help strengthen the hair and nourish the hair. 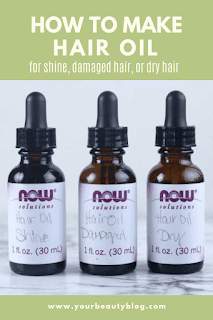 It adds some shine, so damaged hair looks better after using this oil. I also used fenugreek because it helps strengthen the hair. It has proteins that help close the shaft of the hair, which helps damaged hair look and feel better. Pour about 2 ounces of macadamia nut oil into a 4-ounce mason jar. Open an empty tea bag and add about 2 inches of fenugreek to it. Place the tea bag into the oil. The oil should completely cover the fenugreek. If it doesn't, add more oil. Set the jar in the window for two weeks to let the oil and herb infuse. You can also use a slow cooker to infuse the oil and herb in about 12 hours. Lay a towel on the bottom of the slow cooker, add two inches of water in the slow cooker. Carefully place the jar of oil and herbs in the water, then turn the slow cooker on low and let the oil and herbs influse for at least 12 hours. Turn off the slow cooker. The jar will be very hot, so let the jar cool before you handle it. Remove the tea bag from the oil and discard the herbs and the tea bag. Pour the infused oil into Now Foods 1-ounce jars with dropper lids. These bottles are so convenient because they have a label on them so you can write what's in them, and the dropper is easy to use. When my hair needs serious moisture, I turn to a heavier oil like baobab oil. It's high in vitamins A, D, and E to help your hair. It also has omega fats to moisturise your hair. Marshmallow root binds to the proteins in your hair for softer and better looking hair. But the main reason that I love using marshmallow root for dry hair is because it adds slip. Slip helps you brush your hair with fewer tangles, so it won't get damaged. The baobab oil comes in a 2-ounce bottle, so pour one or two ounces of the oil into a 4-ounce mason jar. Add a tablespoon of marshmallow root. The oil should completely cover the herb. Just lay a towel on the bottom of the slow cooker, add two inches of water in the slow cooker, and carefully place the jar of oil and herbs in the water. Turn the slow cooker on low and let the oil and herbs influse for at least 12 hours. Turn off the slow cooker. The jar will be very hot, so let the jar cool for a few hours before you touch it. Strain the herb out of the oil by pouring it through cheesecloth or a sieve. Discard the marshmallow root and save the infused oil. Pour marshmallow infused baobab oil into a Now Foods 1-ounce jar with dropper lids. These bottles are so convenient for making hair oil because of the dropper and the label that you can write on. My readers can get a discount off their iHerb order and new customers can get an additional $5 off their minimum $40 order. Click here to shop. I hope you enjoy these hair oil recipes. I use all three of them at different times, but maybe you only need one or two of them. Let me know if you make them and how you like them!